Since last year, multiple individuals were charged in sealed indictments in connection the bribery scheme. One of the key players is Eduardo Hernandez Montemayor, a Mexican national who had been the director of aviation for the State of Tamaulipas, Breitbart Texas reported at the time. Hernandez Montemayor has also been singled out as having been a close associate and surrogate of former Tamaulipas governor and current U.S. Department of Justice fugitive Eugenio Hernandez. The former aviation official pleaded guilty in December 2015 to one count of conspiracy to commit money laundering. 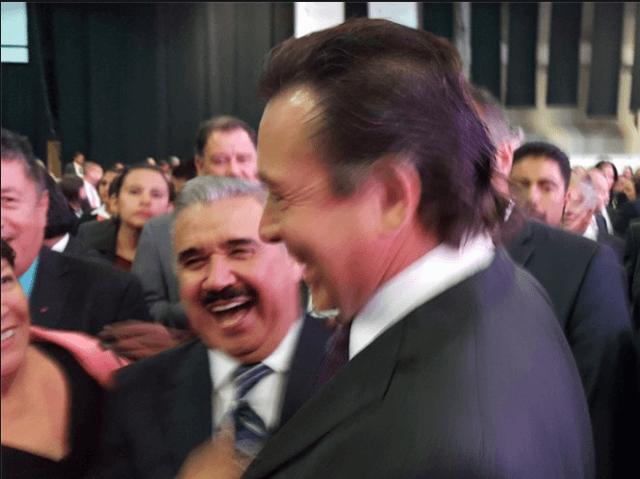 In other court cases connected to the same conspiracy, authorities charged former Tamaulipas official Ramiro Ascencio Nevarez with one count of conspiracy to commit money laundering. He pleaded guilty in March 2016. Others charged in the bribery case include Douglas Ray and Mexican citizen Victor Hugo Valdez Pinon. Both men are facing charges in connection with conspiracy to commit wire fraud and conspiracy to violate the Foreign Corrupt Practices Act (FCPA). Kamta Ramnarine and Daniel Perez from the border city of Brownsville, Texas pleaded guilty last month in connection with conspiracy to violate the FCPA. The guilty pleas revealed that since 2006 until 2016, the businessmen had been bribing Mexican officials in order to secure various contracts to provide aircraft services. As Breitbart Texas has been reporting, the border state of Tamaulipas has a long history of public corruption and ties to Mexican drug cartels that have allowed the political elite to live with complete impunity. In a few cases, U.S. law enforcement has been able to partially break the cycle of protection by investigating and charging some corrupt officials. One of the most significant examples involves two former governors of Tamaulipas who are wanted by the U.S. Department of Justice on charges accusing them of money laundering and acting as surrogates for Mexican drug cartels. Former governors Eugenio Hernandez and Tomas Yarrington, along with various other Mexican officials from the Partido Revolucionario Institucional (PRI), are wanted fugitives in the United States but have been able to live in Mexico with state-funded personal security. In the case of Hernandez, he is not wanted by Mexican authorities, while Yarrington is wanted by Mexican authorities on organized crime charges. While U.S law enforcement has active arrest warrants targeting Yarrington and Hernandez, American diplomats in Mexico have failed in pressuring or shaming their hosts into turning over the fugitive narco-governors. As Breitbart Texas reported, both men had been living in Mexico with a security detail of Tamaulipas police officers assigned to be their bodyguards. Leaked revealed that the detail had been ordered by former governor Egidio Torre Cantu. The new governor of Tamaulipas, who hails from a rival political party, called off the protection and ordered an extensive audit of the State.